For this months Secret Recipe Club I got the blog deli-cute-essen. This is a cute little blog written beautifully by Devon. She is from Quebec Canada. She loves baking, slow cooking, crafting, unicycling and knitting. I decided to make her vegan black bean brownies. You can get the recipe here. They were moist and delicious. My family loved them, until I told them they had black beans in them. They then turned their nose up at them and asked that I not trick them like that again. Will I trick them again? That is the only way I can get good healthy food in their systems. This is awesome! I’m going to make these and see if my kids will eat them too. (And not tell them!) They look wonderful! I made blondies with chickpeas for SRC once, and you couldn’t tell either – will have to give this a shot as well! 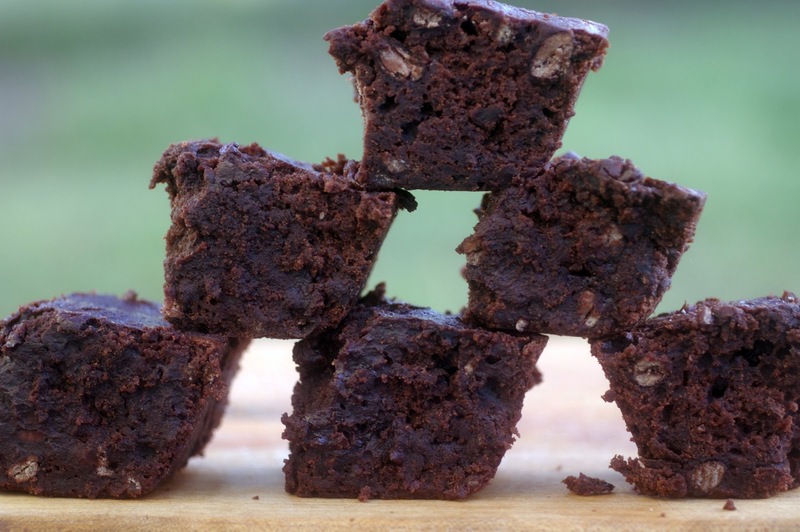 That is a great idea – to make brownies with black beans. I had your blog for SRC and really enjoyed the vodka sauce! Thanks. My best friend who always uses beans as replacements in food would LOVE these brownies! Thanks for posting so I can share with her! Love this! And love your photo, so fun! The brownies actually look extremely decadent! I absolutely love black bean brownies. I have made them numerous times and you can’t tell the difference. 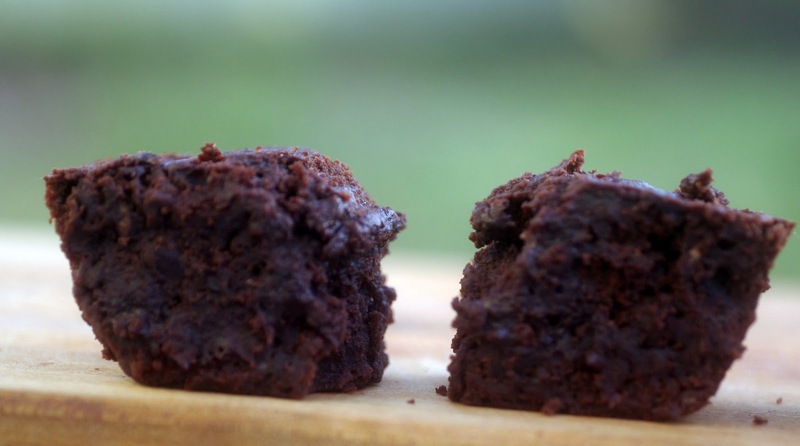 I would even go as far to say that they are better than regular brownies! Most definitely! Don’t you love tricking them? I did that once with sauerkraut, I put it in chocolate muffins and giggled with glee when they fought over the last one. I’ve offered to make them again but for some reason they don’t want me to make them? These sound delicious! I happen to love black beans! Yup… just went in to my make this week pile! So much for bathing suit season LOL! These look delicious. I’m always looking for recipes that are vegan or dairy free, so you know I’m definitely going to try these. My grandsons luv brownies — I’m going to make them, they’ll never know what’s in them. I just joined you on Linky Followers, please stop by and follow back when you have a chance. Stumbled onto your blog via the blog hop and just wanted to show you some blog luv! def enjoyed this post 🙂 new follower! Your brownies look rich and delicious and I would just keep the healthy secret to myself if I made these for my family so that no one would have reason to not like them. If you haven’t already, I’d love for you to check out my Group ‘A’ SRC entry: Broiled Sushi. I tried these, with the highest hopes and anticipation. The appearance and texture were undeniably great. Unfortunately, my family wouldn’t eat more after their first taste (and they didn’t even know anything about the recipe.) Maybe it’s the killer brownie recipe I usually use (double chocolate) that was hard to compete with? Though the brownies did not taste like black beans, the banana flavor was a bit evident and these just didn’t cut the mustard with my group. Neither sweet, nor chocolate-y, enough. Was sad to toss out the remainder after we all tried them. I was so hopeful! Glad all the rest of you liked ’em, though! I am sorry to hear about your brownies. This was not my recipe, but a fellow blogger. I have made brownies with blackbeans when I was with weight watchers, The family couldnt taste the difference but when I told them they said please dont make those anymore. . Boy your double chocolate kind must be amazing!